Aromatherapy probably began before recorded history, around 6000 years back when man discovered that certain plant aromas had soothing, healing effects when they were crushed in the palm of the hand or burnt on the fire. Aromatherapy had its roots in the most ancient healing practices. The history of aromatherapy is inevitably linked to the development of aromatic medicine, which in the early days was itself combined with religion, mysticism and magic. Aromatherapy was used by the most ancient civilizations like Egypt, China, and India. The word “Aromatherapy” comes from two words: “Aroma“, which means fragrance, and “Therapy“, which means treatment. It is a healing art based in nature, and it affects the whole person–mind, body, and spirit. 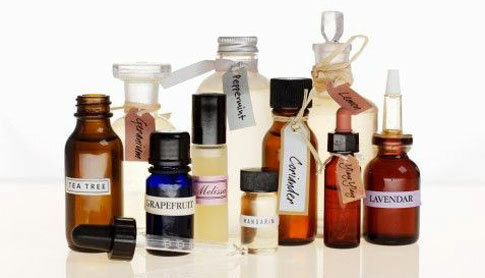 Aromatherapy involves the use of essential oils. History of Aromatherapy began with the Egyptians, who first burned incense made from aromatic woods, herbs and spices in honor of their gods. They believed that as the smoke rose up to the heavens, it would carry their prayers and wishes directly to the deities. They used the method of infusion to extract the oils from aromatic plants, which were used for medicinal and cosmetic purposes as well as embalming. Embalming was one of the principal uses of aromatherapy, preserving the tissue of the bodies for thousands of years. The oils and resins used were so potent, that in the 17th century mummies were sold in Europe and doctors distilled them for use in their medicines. Ancient Egyptians used substance and scents of specific plants for religious rituals, as certain smells could raise higher consciousness or promote a state of calmness. Frankincense was burned at dawn as an offering to the sun and myrrh was offered to the moon. Egyptians understood the principles of aromatherapy and incorporated it into their cooking as well. Specific herbs helped the digestive process, protected against infection, or built the immune system. The Egyptians used to massage their body with fragrant oils after the bath. The use of Aromatherapy spread from Egypt to Israel, China, India and the Mediterranean, with India giving us a rich tradition of strongly perfumed oil such as sandalwood and patchouli. The Greeks and the Romans made good use of their Mediterranean plants for the production of aromatic oils. Hypocrites, called the `father of medicine’, produced an herbal that recorded the uses of more than 300 plants while in Rome. The Romans employed Greek physicians and military surgeons. After the fall of the Roman Empire, it spread to the Arab countries, where philosophers devoted themselves to the ancient art of alchemy, perfecting the art of distillation. The Crusades saw the importation of methods of distilling oils and used their healing properties. In the middle Ages herbal oils became an important weapon in the fight against diseases such as the Black Death in northern Europe. The middle ages saw a great deal of study into herbs and their uses. The apothecaries of the middle ages were the physicians of the time, and every in great house herbs were distilled and used for a variety of household, personal and medicinal purposes. For centuries essential oils were the only remedies for epidemic diseases. During the Black Plague, it was discovered that the glove-makers and those working in laboratories or perfumeries, where these essences were continually used, few became ill. The use of herbs fell into disrepute during the 18th and 19th centuries, when they eventually became associated with carnival barkers and `snake oil’, an impression, which still taints any serious attempt to bring herbs back into the mainstream. During the 19th century, with the development of modern science, all forms of herbal medicine disappeared until the 1920s, when French chemist Gatefosse revived the art, giving it the name Aromatherapy. But throughout recent history, there have been recorded instances of therapeutic healing oils being used to treat many complaints successfully, and today, aromatherapy has become an international industry. The modern aromatherapy industry has spawned a wealth of aromatherapy products, such as essential oils, creams, candles, soaps, air fresheners, and fragrance infused papers, textiles and novelties. But all you have to do to enjoy these oils at their purest is crush a few aromatic leaves in your hand, as our ancient ancestors did. Aromatherapy is a fast growing therapy in holistic medicine. Aromatherapy is now used in hospitals, offices, clinics and homes all over the world.